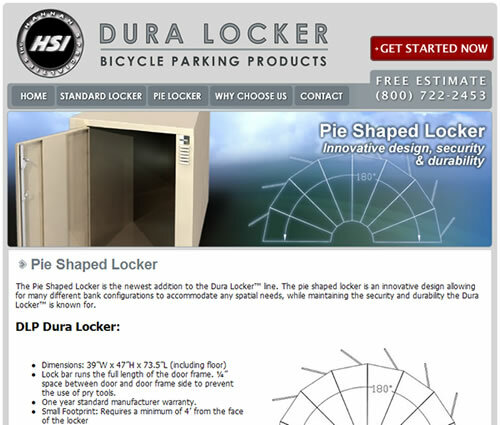 Hannan Specialties, Inc., is a leading designer and manufacturer of high quality metal bicycle storage lockers. 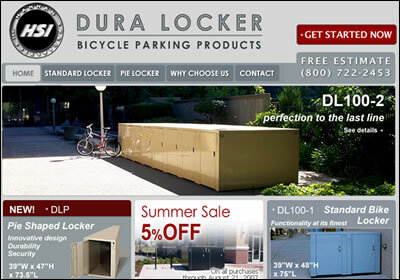 The Dura Locker bicycle storage line is ideal for use in parks, office buildings, train stations, parking garages, universities and other areas that welcome cyclists. 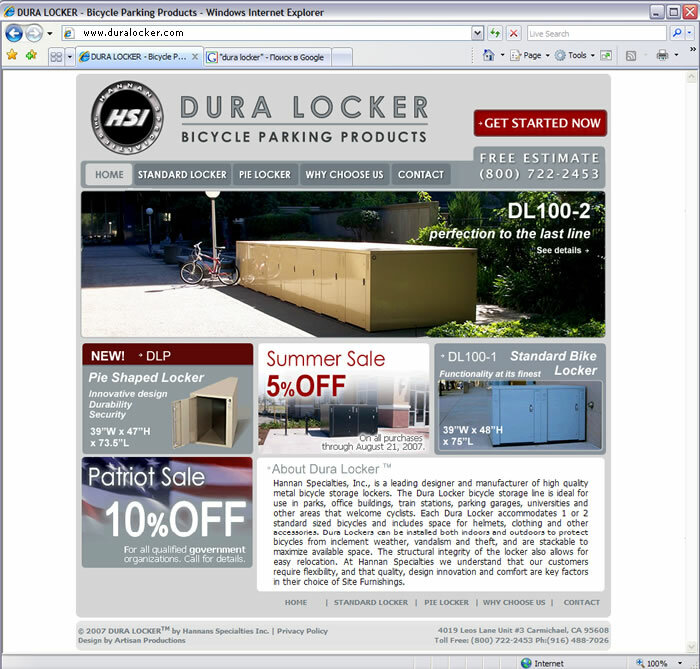 Task:Created a promo-site for leading Site Furnishings industry company. 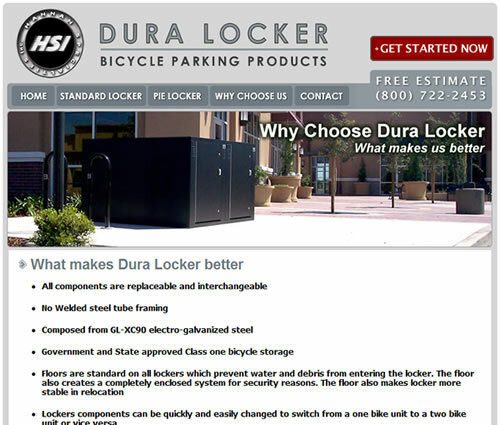 Promote their metal bicycle storage lockers by highlighting product's key benefits such as quality, design innovation and comfort. Macromedia Fireworks, PHP, DHTML, SSI, CSS. 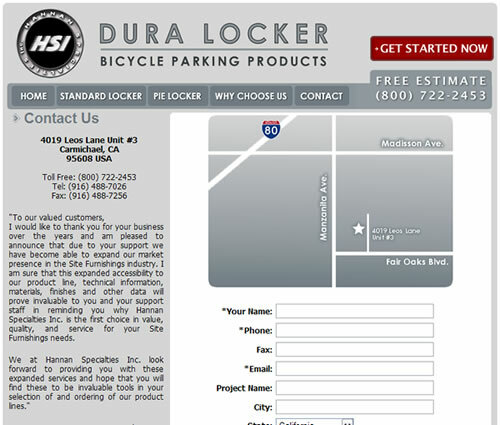 SOLUTION: Our designers created clean corporate website loaded with graphics, dynamic content. 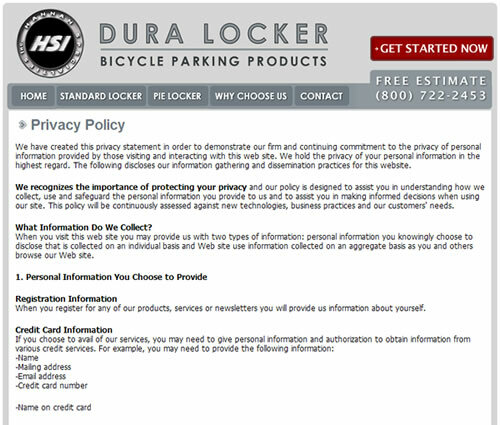 It has an easy to comprehend layout, easy to update and maintain code and easy to understand content - showing all of the best features and benefits of bike lockers. 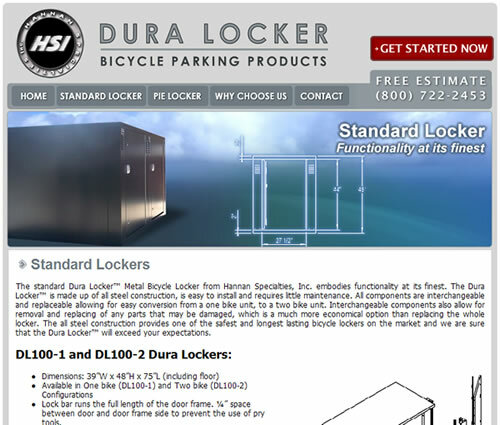 Artisan Productions created durable website for durable lockers. 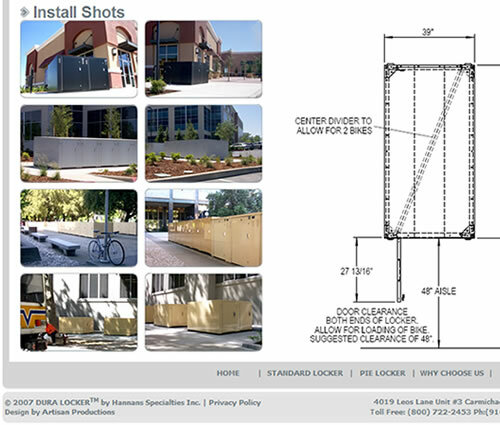 "I was impressed by their combination of business understanding, creativity and project delivery skills. Artisan Productions showed enthusiasm and professionalism. We would gladly consider them for the future projects."